Let’s face it: you don’t really want to put that much effort into a costume. Or spend money on something you’ll only wear once. Practical! Good on you! Luckily, this sort-of costume also doubles as a hat long after Halloween. It’s utilitarian, it’s adorable, and it’s you. Don’t ask us what that says about you––you know it’s true. This furry moose hat is the must-have accessory of the season. It has a luxurious faux fur finish that glistens under the sun for when you’re running the forests wild, naked as the day you were born. Or match with a suit, a T-shirt and jeans, or just about any other outfit for that “What the heck are they going for? Do they know they’re wearing a moose hat?” look. It won’t give you an 11-foot vertical leap like a moose, but it might fool some nearsighted elk at a distance. Conveniently, it’s super warm, so it’s also the perfect winter accessory for any outfit. 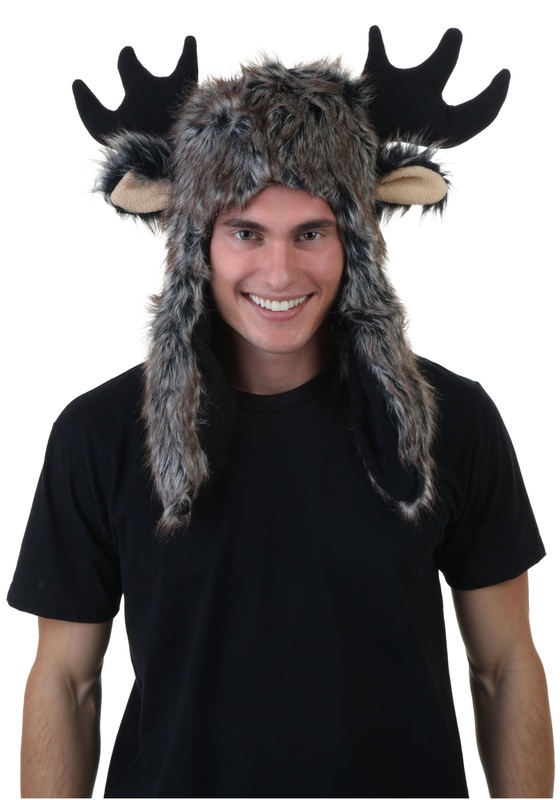 Go wild in this Moose Hat! It’s tailor-made for otherkin, owlbear-lovers and patriotic Canadians! The moose is, like, their national animal or something, right? Seems like a safe assumption.